While the weather in his native Austria wasn’t quite what he hoped for this summer, the forecast for the New York Islanders is even brighter with Michael Grabner’s return to the lineup. 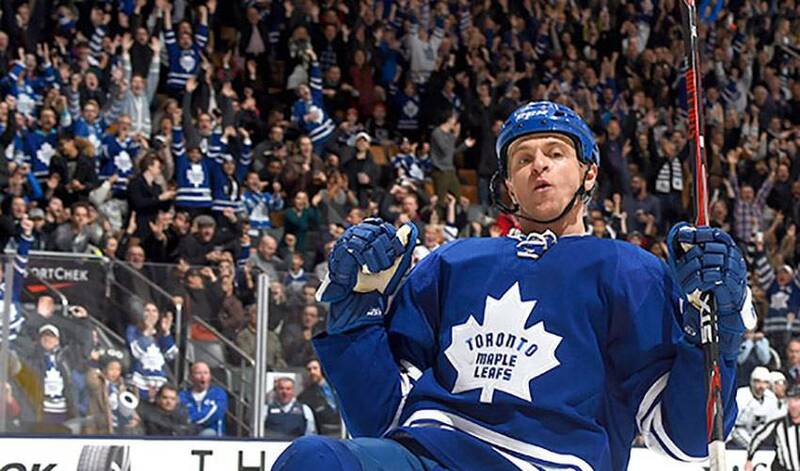 There were plenty of good times to be had during his off-season in Europe, but it was quite the opposite when Grabner returned to North America, finding himself on the sidelines when the 2014-15 season started, a sports hernia injury relegating him to spectator status. Injuries have wreaked havoc on his campaign, and it’s been admittedly frustrating for Grabner, who was drafted 14th overall by the Vancouver Canucks in 2006. While the Islanders are in the midst of a dream season, taking up residence in the top tier of the Eastern Conference, having Grabner’s world-class speed and offensive savvy back in the fold makes them an even more dangerous squad to contend with. On Martin Luther King Day, the 27-year-old was at his best, scoring once and adding an assist in a 7-4 home win over the Philadelphia Flyers, while picking up third star honours. Grabner, like his teammates, are pining for playoff success. In April of 2013, the Isles netted a post-season berth for the first time in six seasons. Last year, they failed to qualify. Expectations and confidence are in perfect harmony these days for Grabner and co. Although things rained on Grabner’s parade, so to speak, in the off-season and at the start of the campaign, it appears as though brighter days are ahead for No. 40.